Despite unofficially considered as the best-looking member in her group, Girl’s Day’s Yura remains down-to-earth as she works her best every time she appears in public events and variety shows. Hence, the public calls her as a perfect female celebrity who is not only pretty but also has a pleasant personality. In internet forums, the entries often compare a celebrity to one another and Yura is not the exception. 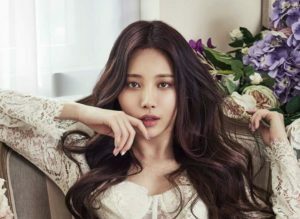 Even though she was often compared with more famous stars, Yura is able to hold her place because many netizens pick her, saying that they prefer Yura because of her lovable traits. 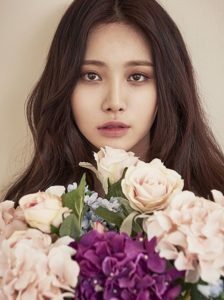 In this article, Channel-Korea will explain all about Girl’s Day’s Yura, starting by her personal profile, fun facts, the list of her drama, films, television shows, her plastic surgery, her WGM appearance with Hong Jong-hyun, her dating news, her net worth, house, her fantastic body in bikini, her fashion style, and her Instagram feed. So, keep reading! As has been explained in her personal profile earlier, Girl’s Day’s Yura was born in 1992. According to the Korean Age System, 2018 Yura’s age is 27 years old in 2018 and according to the International Age System, Yura is 26 years old. Besides Yura, there are other Korean female and male idols who were born in 1992 as well, such as INFINITE’s L, Lovelyz’s Babysoul, former SISTAR’s member Soyou, WINNER’s Seunghoon, f(x)’s Amber, and EXO’s Chen. On the other hand, Yura is considered as a tall and slender girl as her height is 170 cm, whereas her weight is 51 kg. Yura used to be a ballerina, as well as an ulzzang (pretty face on the internet). Yura described her personality as cheerful, lively and positive. She once could not stop holding her loud laugh when she appeared in MBC every1’s Weekly Idol. Yura has a well-balanced body shape and outstanding dance skill. Yura is a gamer. She really likes to play computer games. Yura’s favorite number is 7. Despite having a banging body, Yura said that she dislikes diet the most. Yura once said in 2016 that the top 3 girl group body is AOA’s Seolhyun, Hyuna, and herself. Yura has a bad habit of shaking her leg. Yura likes to listen to a quiet melodied piano-accompaniment song. Yura’s favorite movie genre is action or thriller. Yura said that her unfortunate day is signified by the pimples on the important days once in a while. Yura said that fur is necessary for her usual fashion style. Yura often goes to a convenience store. Yura’s favorite food is meat. She even dreamed to be a worker of a meat restaurant due to her love for meat. Sometimes, Yura’s Ulsan accent comes out. Yura has pets. She used to have a cat and dog but in the current time, she only has a dog. Yura is very skillful in art. She often shows off her skill, especially in oil painting. Yura is able to not blink her eyes for 2 minutes. Yura’s favorite color is strawberry milk color. Yura once had a diary but it got lost. One of the entries described how she met Hyeri for the first time. Yura takes care of her skin well. Yura has a cousin who is a rapper. Yura’s favorite motto is ‘this too shall pass’. Known for her outgoing personality, it is not a wonder that many producers are interested to invite and hire Girl’s Day’s Yura for their variety shows. In addition, Yura’s acting skill is quite decent as she took offers as the main role in many dramas. In recent years, we are able to see Yura’s grow as the host of shows, making her as an all-rounder entertainer in South Korea’s entertainment industry. Here, you may check the list of Girl’s Day’s Yura’s drama, films, and variety show below! 2015 – MBC Music and TV Zone Super Idol! Did Girl’s Day’s Yura Do Plastic Surgery? Being a country with futuristic technology, South Korea is also famous for its plastic surgery. From the mere fillers and transplant to heavy procedures, you are able to find them in the beauty clinics around Gangnam area. Girl’s Day’s Yura is suspected to be one of the people who fixed her facial features through plastic surgery. Is it true? Let’s compare her pictures below. As you can see, Yura’s facial features such as eyes and nose have been changed due to the knife of the plastic surgeon. Her eyes used to be small and asymmetrical whereas her nose used to be flat. However, thanks to the help of plastic surgery, these features turned into an ideal shape and complements Yura’s face. Did Jung Ryeo-won Get Plastic Surgery? Here Are the Fascinating Facts!